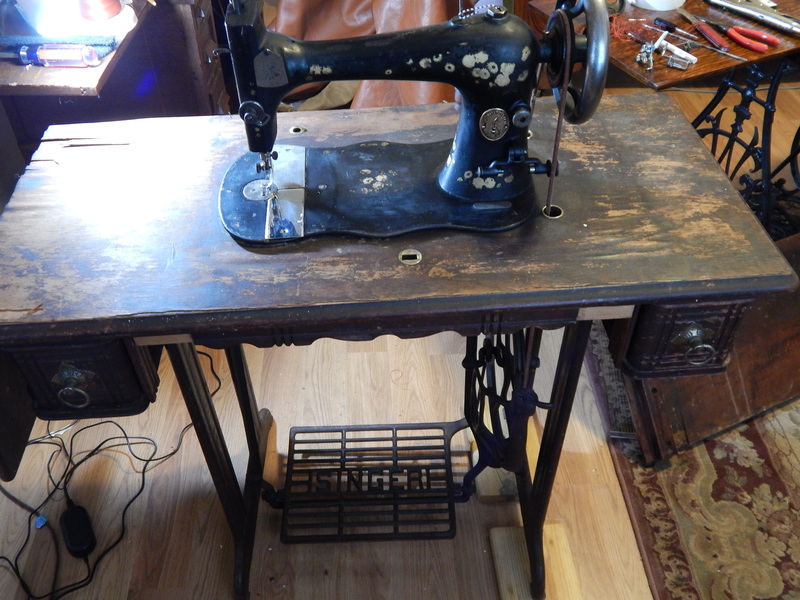 This entry was posted in ETC, Quilts and tagged Quilting, Quilts, treadle sewing machine, vintage sewing machine. You’ve done a splendid job, Tim! 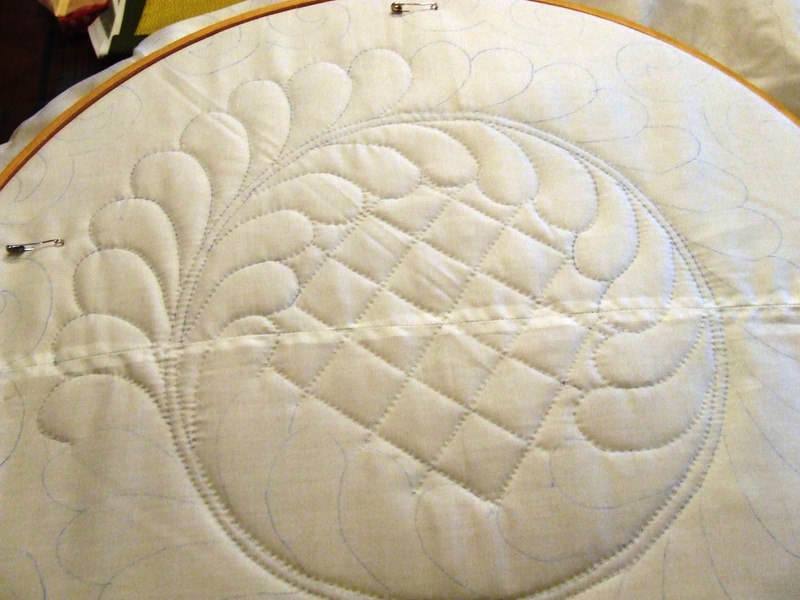 Beautiful and beautiful job on the machine and quilt. Wow Tim! 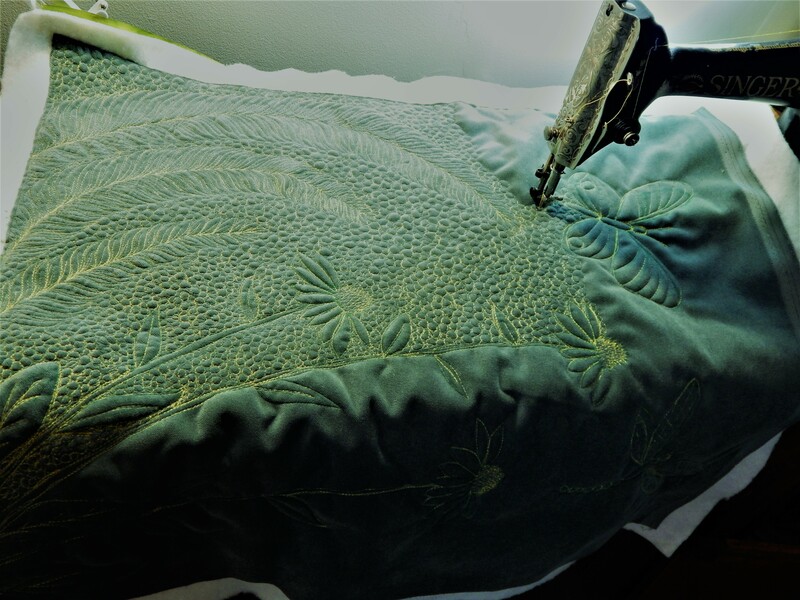 I love incorporating my garden flowers into designs, if only I could figure out a way to do lupine and foxglove on fabric…that machine can’t wait for you to put it to good use! I enjoy seeing where you get your inspiration. 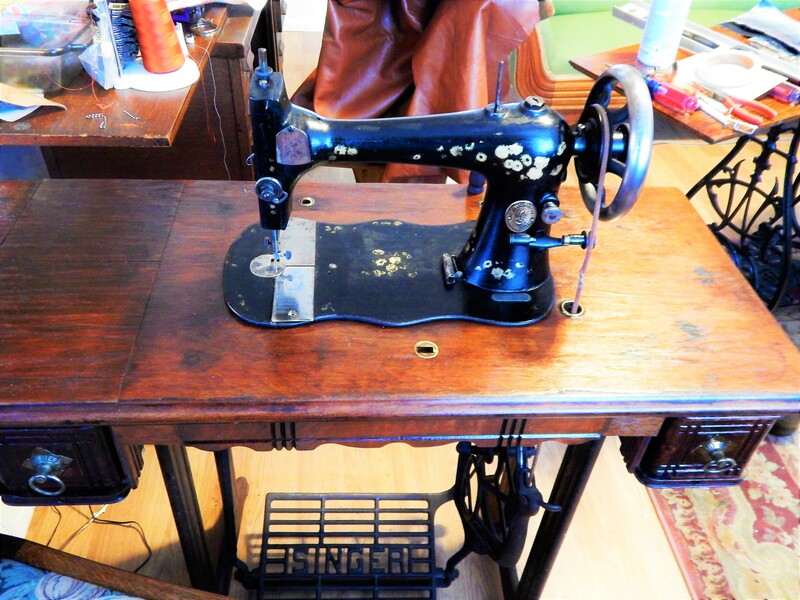 Absolutely beautiful detailing on both the quilting and the Singer machine. 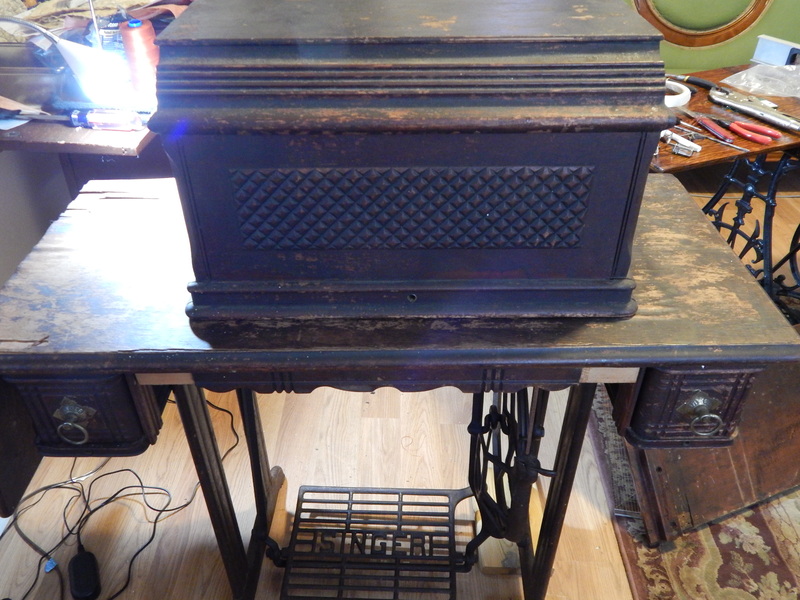 How do you clean the wood so that it polishes up so well? You didn’t have time for a total strip, so do you mind sharing your shortcuts? 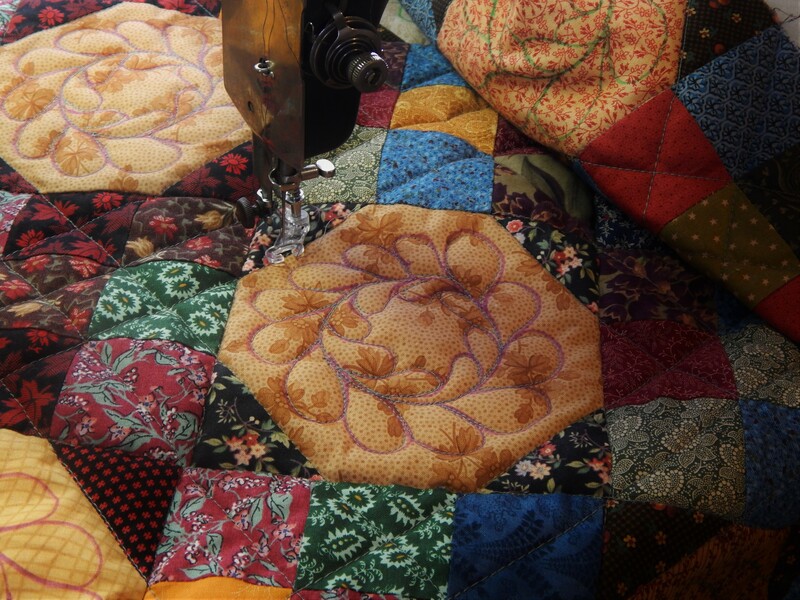 And as always, your FMQ is astounding and love the pictures of the garden. Tim, you are simply amazing. beautiful! 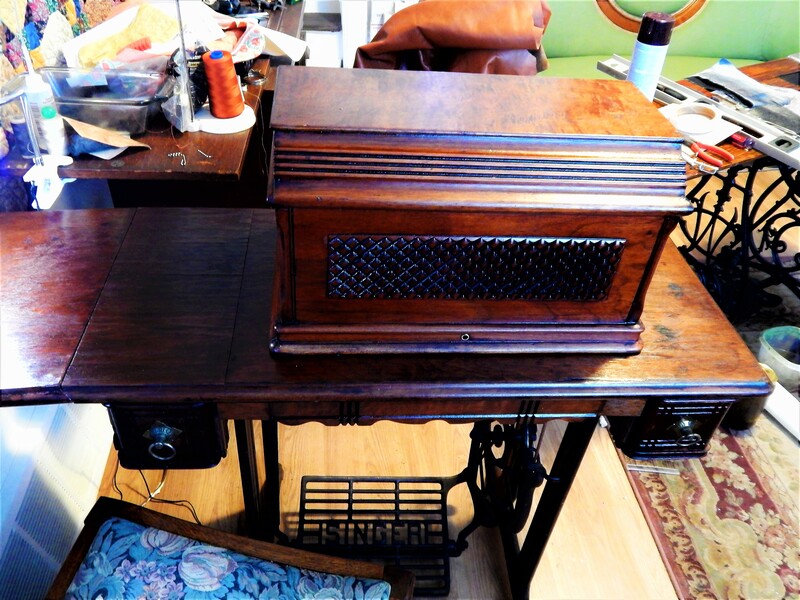 both the quilt and the machine table restoration! 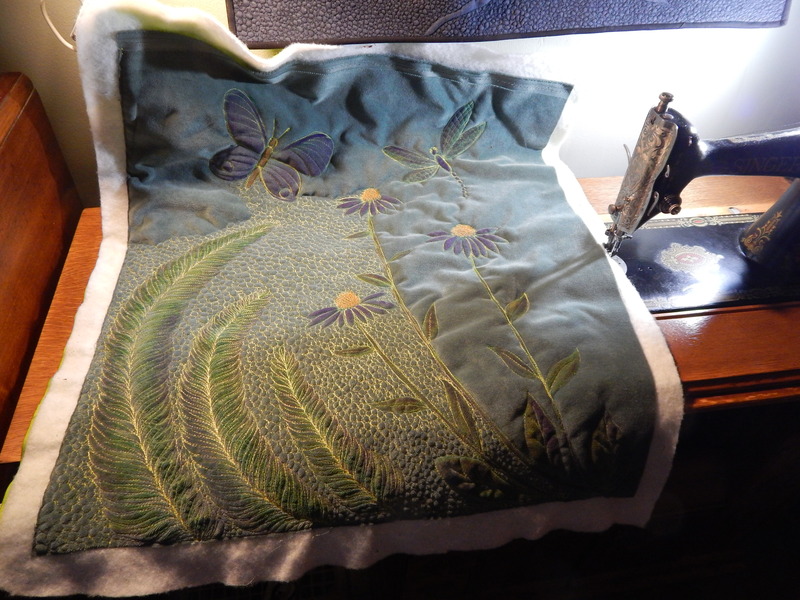 Beautiful Coneflowers, quilt & work on the machine–you are amazing! 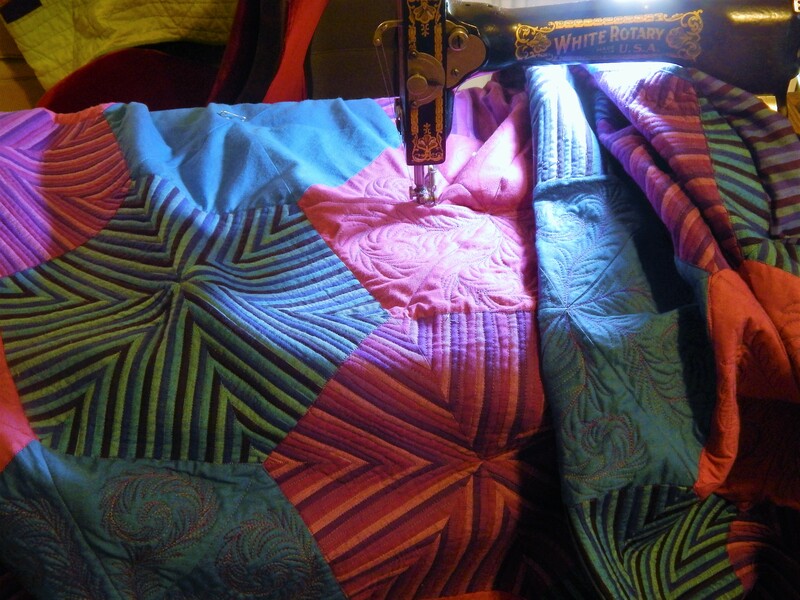 I am amazed at your quilting skills. 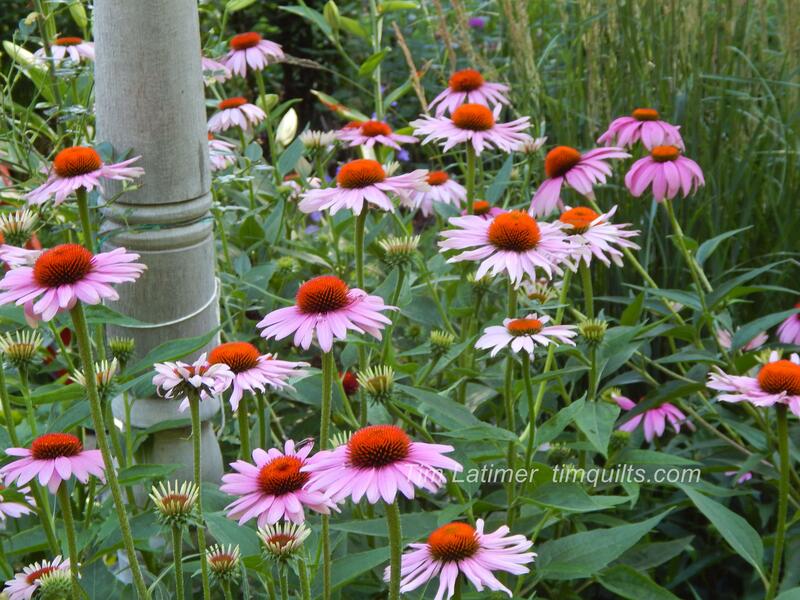 Love the cone flowers! 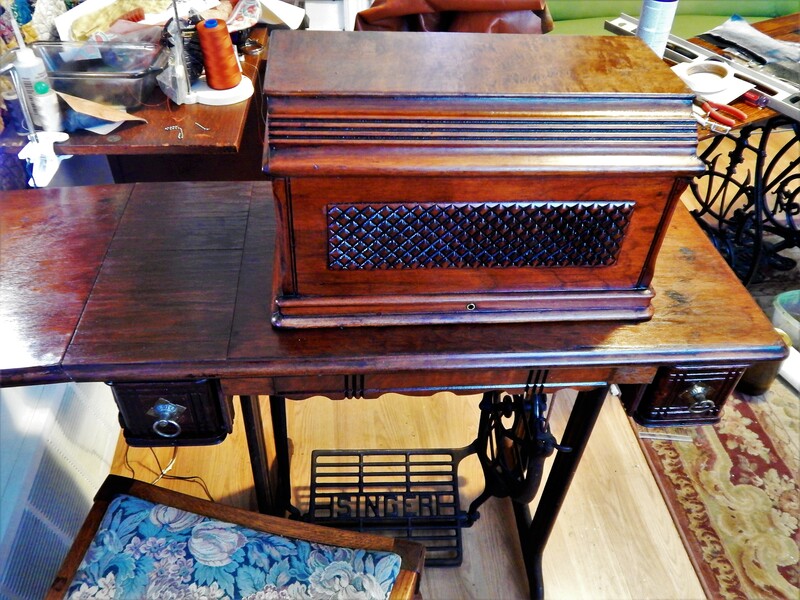 Impressive restoration of the cabinet too! Tim, you have certainly given that old girl a facelift! It looks grand. 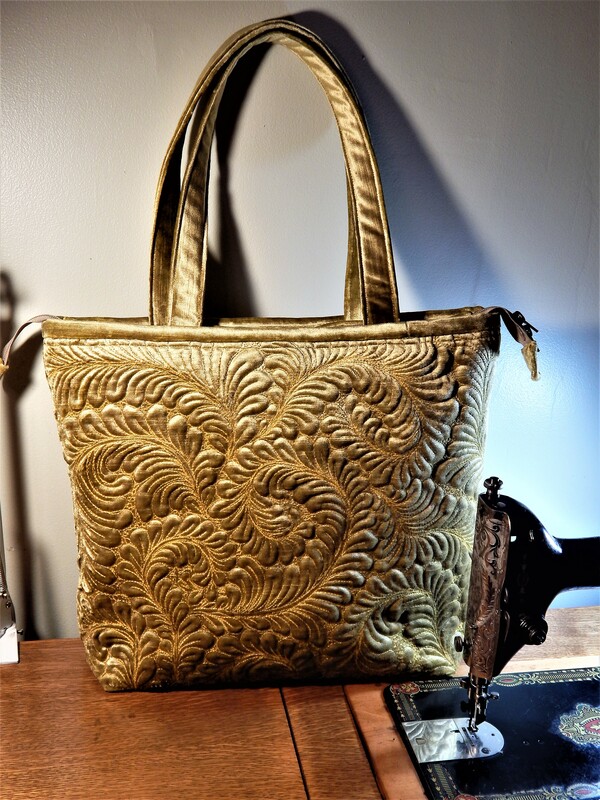 What kind of finish did you use, if you don’t mind sharing. 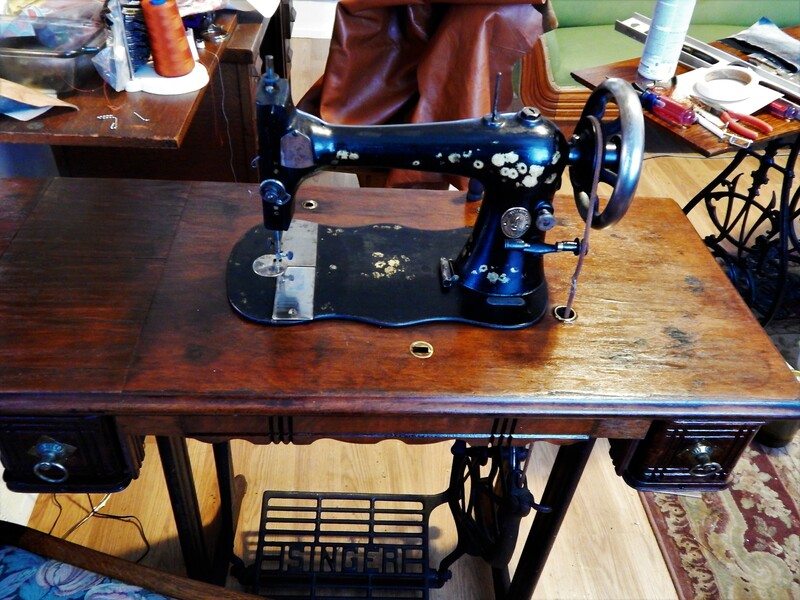 I have a vintage Singer but her case really needs attention. It’s all sanded, ready to go but I don’t have any idea as what to use. Help!